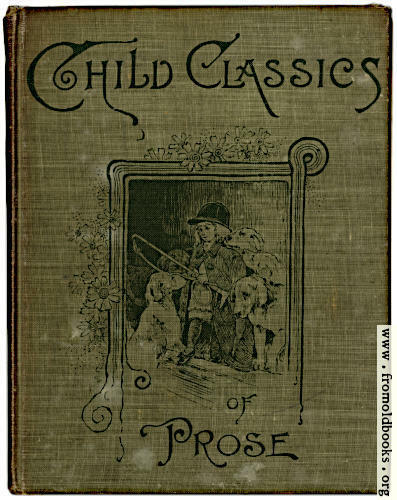 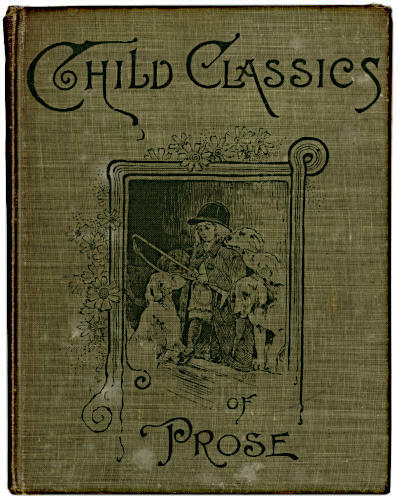 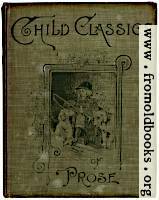 The front cover of Child Classics of Prose features a picture of a Victorian child who is wearing a coat and riding hat, carrying a horse whip (possibly a toy one) and is surrounded by five dogs. The picture is enclosed within an unusual border, partly rubbed away from wear and spotted with mildew. 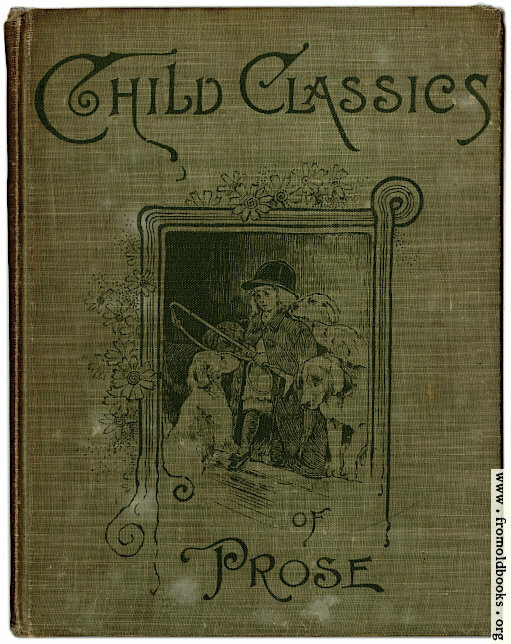 The lettering is somewhat fanciful.